Citra-Lock 4% is recommended in the European Renal Best Practice Guidelines (ERBP) and the American Society of Diagnostic and Interventional Nephrology (ASDIN). 4% offers the best benefit/risk ratio. 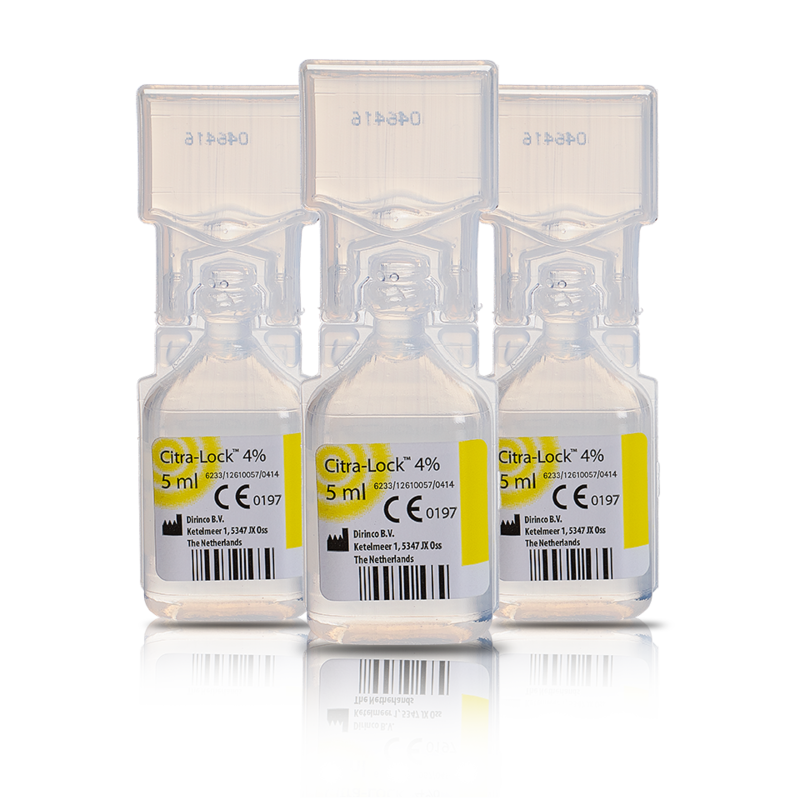 Citra-Lock is effective in maintaining catheter patency. Trisodium Citrate 4% (TSC) works as an anti-coagulant and decreases the incidence of infection.